Since today is Earth Day, we wanted to remind you of all the ways it is easy to be green with Southern Solutions and Xerox! Over the last 20 years, Xerox’s supplies recycling programs have kept more than 145 million pounds of waste out of landfills. Multiple Functions Use Less Power – When you chose a MFP (multifunction printer), you combine several separate devices (printer, copier, scanner and fax) and use less energy. EA Toner Uses Less Energy – In our laser printing units, EA Toner takes less energy to produce images and up to 40% less toner while still providing outstanding image quality. Save Time & Reduce Carbon Emissions When Recycling Xerox Supply Items – Do you have more than a few supply items to recycle? If so, order Xerox’s free Eco Boxes. You will save time and reduce carbon emissions from shipping! Click here for more information. ENERGY STAR Partner – Over 600 Xerox copiers, printers and MFPs have earned ENERGY STAR status and Xerox has been a charter partner of ENERGY STAR since 1993. Paperless Faxing Uses Less Paper – With Paperless Faxing, paper is eliminated by sending faxes right from your desktop to the Xerox device and routing incoming faxes to an email or shared folder on the network! Click here for more information. 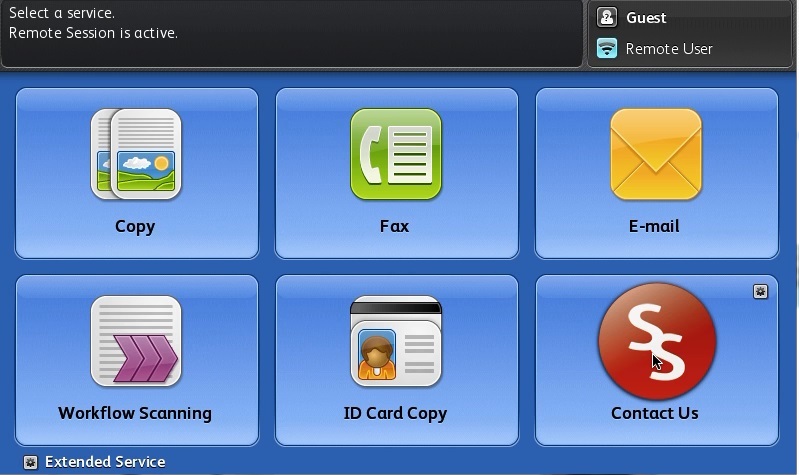 Easy Recycling of Supplies with Contact Us App – The Contact Us App for Xerox ConnectKey devices provides a simple process to return & recycle used Xerox cartridges and toner supplies by requesting Xerox Eco Boxes right on the User Interface. Click here for more information. Contact us for more information on our energy saving and recycling initiatives!